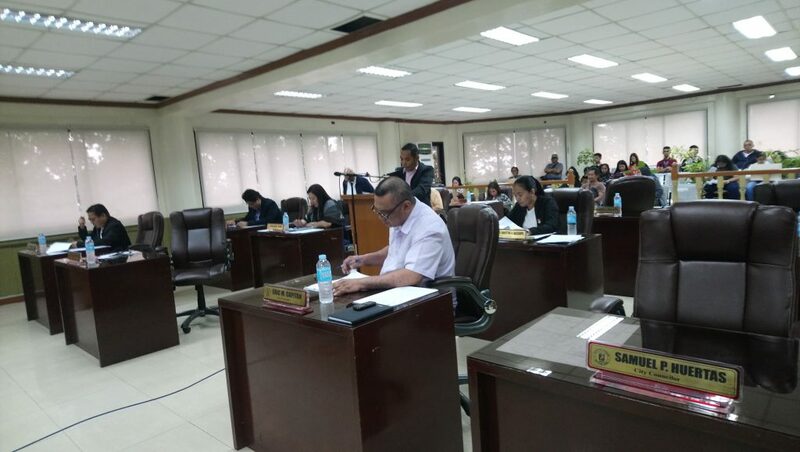 The Sangguniang Panlungsod conducted its last regular session for the month of November, which started at 1:30 PM and held at the Session Hall, Pedro B. Generalao Legislative Building. 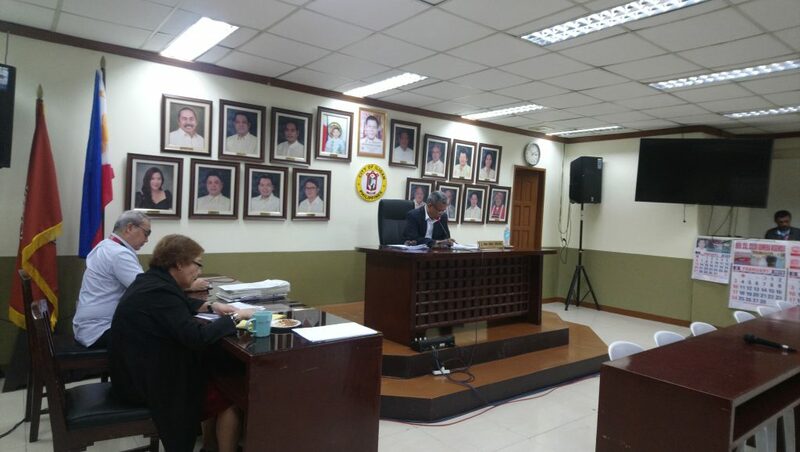 Proposed resolution authored by Councilor Rhandy Ryan Francis Ong entitled, “Resolution interposing no objection to the application of EGB & Associates/Smart Communications, Incorporated, to install, construct, maintain and operate a cell site at the lot of Mr. Longine Halibas at Purok Talisay, barangay Sta. Filomena, Iligan City,” was approved by the council. Another proposed resolution authored by Councilor Jesse Ray Balanay entitled, “Resolution approving the ordinance prohibiting the selling and using of non-compostable and non-biodegradable single-use plastics, and Styrofoam for food and water containers especially on dry goods and prohibiting its utilization on wet goods, in shopping centers, malls, restaurants, markets, retail stores similar establishments in Iligan City including the Local Government Offices and Government Agency Offices, amending Ordinance No. 14-6219,” was referred to the committee on environment for first reading. Proposed resolution authored by Councilor Demosthenes Plando entitled, “An ordinance establishing the guidelines on the use and rent of the Iligan City Food Court, providing funds for its maintenance, operation and for other purposes,” was referred to the City legal Office for legal opinion. Last proposed resolution by Councilor Demosthenes Plando entitled, “An ordinance on Prioritization of Iligan City Residents for Manpower Employment (PIRME) and for other purposes,” was referred to the committee on labor and employment for first reading. Overall, the session was short but a fruitful one. The schedule for the next Regular Session of the Sangguniang Panlungsod will be on February 4, 2019, after the flag ceremony. This entry was posted	on Wednesday, January 30th, 2019 at 3:21 pm	and is filed under Flash News, Uncategorized. Both comments and pings are currently closed.